The new Psypress UK 2015 Vol V Journal contains Part 2 of my exploration of psychedelic movies, taking the story into the late 1990s and up to the present. 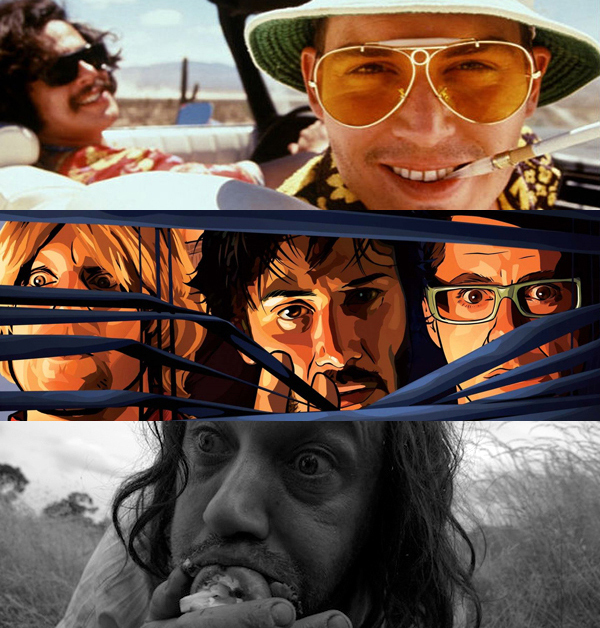 Films containing notable trip sequences include Fear and Loathing in Las Vegas, Enter the Void, and A Field in England, and clips can be viewed below. Other trippy movies featured include the sci-fi-oriented A Scanner Darkly and Inception, and here trailers are posted, as they convey the overall weird ambience better than any particular isolated scene. 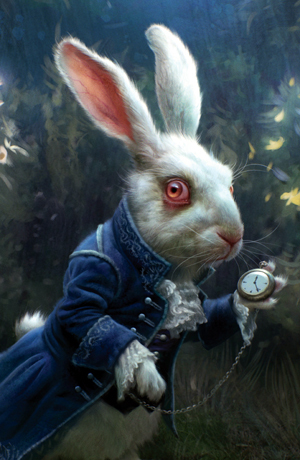 The article also features a look at the history of Lewis Carroll’s Alice in cinema, in particular the Tim Burton adaptation, with its highly psychedelic production design, further enhanced by 3-D. A clip of Burton’s Mad Hatter’s tea party is included, together with another Alice short animation, Malice in Wonderland, which is particularly trippy in its constantly metamorphosing effects. The clips follow the same order as the accounts in the text. 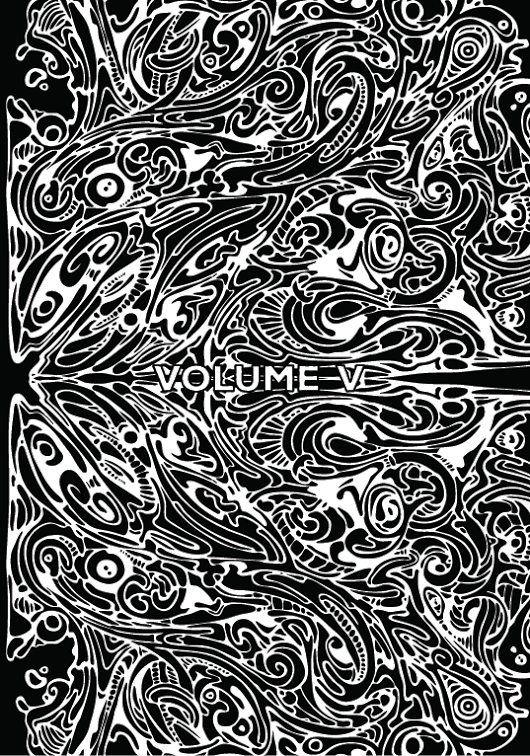 Psypress 2015 Vol V also features inspiring pieces from Graham St John, James Oroc, Julian Vayne, Jani Pestana and David Luke. 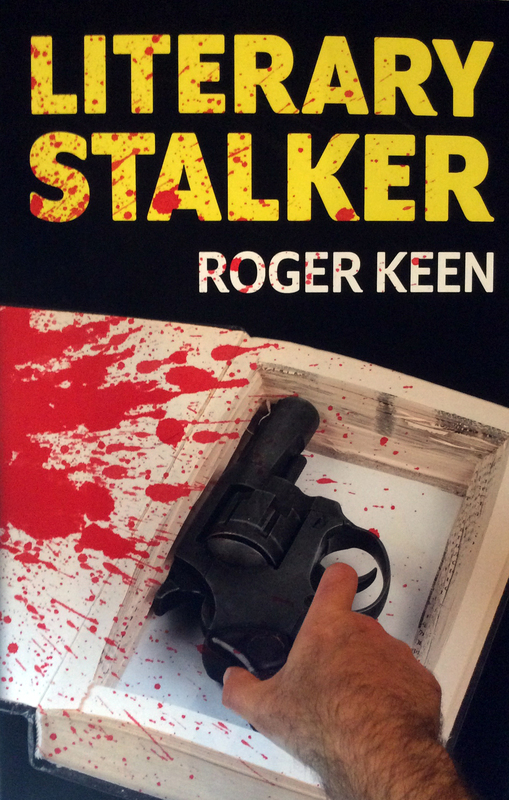 To purchase a copy please visit the Psypress Shop. Fear and Loathing in Las Vegas (1998). This clip shows the latter part of the hotel lobby ‘Sunshine’ acid trip, where the carpet liquefies as reality distorts and the barroom clientele transmogrify into giant leering lizards. Heavy or what! What better place for a discussion on the rarefied subject of magic mushrooms than the hippy-oriented Sunrise Festival in Somerset, England, just down the road from Stonehenge? On a hot Saturday afternoon in early June 2010, a group of us gathered in the Ancient Futures yurt to hear Andy Letcher’s talk on ‘Reading the Codex: Making Sense of Magic Mushrooms’. 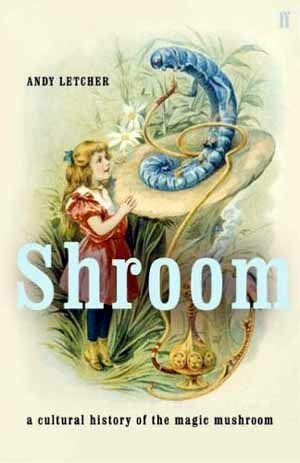 Andy Letcher, a holder of two doctorates—the first ecology related, the second concerning Bardic performance in contemporary Paganism—is the author of Shroom: A Cultural History of the Magic Mushroom, a comprehensive and informative overview of mushroom culture and its position in the larger psychedelic pantheon. Published in 2006, the book was generally well received and critically acclaimed, but due to its revisionist stance on many of the cherished theories concerning psychedelic use throughout history, it has also excited much controversy and opposition. On some internet message boards this has escalated to open hostility and outright abuse, and, perhaps worse still, the accusation that Andy has never even taken mushrooms. In a nutshell, Shroom argues that hard evidence for much of the received wisdom concerning past psychedelic use—with a particular focus on mushrooms—simply isn’t there, and it is largely a wish-fulfilment back projection on the part of the modern psychedelic movement. So, how come such an issue has got many people’s back up? Perhaps it’s the sureness of Andy’s academic position: I must be right because the evidence (or lack of it) speaks for itself. Perhaps it’s because he takes material that is understood by many to serve as myth or half-truth rather than solid fact, and by insisting on holding it up to factual scrutiny rather tramples it into the ground. Or perhaps it’s because his literal evidence-based approach to the subject cuts right against the grain of the enchanted, mythopoeic, supra-rational radiance of mushroom gnosis itself. The news that Alice in Wonderland has become the tenth highest grossing movie of all time, supplanting Peter Jackson’s The Two Towers, further strengthens the hold the 3-D phenomenon has taken over cinema. The fact that an offbeat fantasy, which did not receive the highest critical praise, could be so successful is another indication that audiences are flocking to cinemas for the spectacle, the buzz of 3-D alone, with subject matter a secondary concern. So what exactly is the nature of the new 3-D’s seductive allure, its x-factor, its secret ingredient? As psychedelic initiates have realised, 3-D produces something like an altered state, a non-ordinary level of sensory experience that is comparable to a drug trip. The very act of putting on the glasses and seeing things differently is like passing through a gateway, or cleansing doors of perception. Then there’s the strangeness, the strikingly unusual quality of 3-D vision, where everything is heightened, surfaces and textures are more alive and resonant, and the commonplace becomes transfigured and imbued with specialness. The nature of how things are rendered in 3-D becomes part of the viewing pleasure, as important a factor as plot, action and characterisation; and the anticipation of the next 3-D thrill, plus the sense of immersement in another realm, take the audience beyond mere cinema into theme-park-ride and virtual-reality territory—other parallels for chemically enhanced consciousness.